Suboxone is the brand name of a prescription drug with the active ingredients buprenorphine and naloxone. 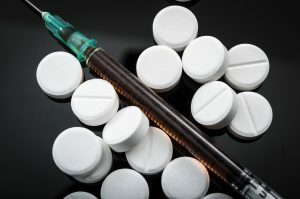 The U.S. National Institute on Drug Abuse has approved the drug as a first-line medication to manage withdrawal symptoms of heroin, fentanyl and other opioids. For individuals who suffer from opioid addiction, the physical withdrawal symptoms can make recovery not only difficult, but dangerous. Starting within hours of the last use, symptoms may include intense cravings, nausea, vomiting, excessive sweating, fatigue and fever. Cravings may last for months of even years. The risks of overdose are greatest during relapse as users lose their previously built-up tolerance. Suboxone soothes these withdrawal symptoms in two ways. First, buprenorphine binds tightly to the opioid receptors and blocks other opioids, rendering them ineffective. 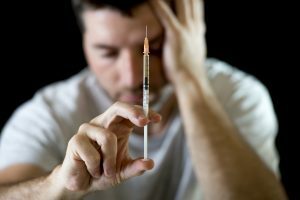 This process allows a patient to feel just enough pleasure from the drug to override the miserable withdrawal symptoms. Secondly, naloxone counteracts or reverses the effects of opioids in the central nervous system. Unfortunately, like other replacement medications, Suboxone is not foolproof in its ability to prevent a “high.” At high doses, the drug can trigger the same euphoric feelings it seeks to prevent. This can lead to abuse. Cocaine, amphetamines and other stimulants are dangerous because they counteract the depressive effects of buprenorphine. This confuses the body as it tries to process these contradictory substances. Using buprenorphine with stimulants can also prevent the body from recognizing a stimulant overdose, which can lead to heart attack or death. Benzodiazepines, such as Xanax, depress the central nervous system. When combined with buprenorphine, also a depressant, the double dose of respiratory depression can slow breathing to a stop, preventing oxygen from reaching the brain. As a depressant, alcohol affects the body similarly to benzodiazepines when combined with Suboxone. This can lead to severe sedation or blacking out due to respiratory depression. All forms of Suboxone abuse are dangerous. Recreational users should know that they risk addiction, overdose and even death. Because users often abuse Suboxone with other drugs, the risk of a co-occurring addiction is high. Users should therefore seek treatment from experienced medical professionals who understand the specific challenges of opioid dependence alongside other addictions. The dangers of relapse make detox an important first step of treatment. Medical supervision ensures the safe reduction of drug use and management of withdrawal symptoms. 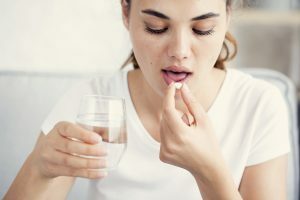 Clients experiencing buprenorphine withdrawal will have symptoms similar to those caused by other opioids, including irritability, anxiety, sweating, nausea and cravings. Treatment can help to manage these symptoms. At Sprout, treatment starts with a personalized assessment that allows us to personalize your treatment plan based on your medical history, any co-occurring disorders or addictions, personality and overall needs. Therapy follows the detoxification process, which helps clients to identify the factors, beliefs and triggers that have which led them to the addiction. Cognitive behavioral therapy (CBT), a core treatment modality at Sprout, supports the client in treatment by providing healthy coping mechanisms for stress, along with strategies to combat the temptation to use again. Group therapies are also beneficial, as people can develop accountability within the new friendships they gain through experiencing treatment and recovery together. Transitioning from treatment to everyday life is perhaps the most important part of the recovery process. At Sprout, we place a great deal of emphasis to identify the strategies, coping mechanisms and ongoing support that will lead to lifelong, sustained recovery. A residential treatment program may be part of this phase, followed by continued counseling. If you or someone you love suffers from opioid addiction, we can help. Call us to learn how personalized treatment can help you safely manage withdrawal symptoms, gradually eliminate drug use, and develop healthy coping mechanisms for sustained recovery. Methadone is a synthetic, prescription opioid that was originally developed as an alternative to opioid painkillers. Fentanyl is one of the most dangerous drugs in the United States. It is responsible for almost half of all opioid deaths. However, it is also the most widely utilized opioid in a medical setting, used in conjunction with anesthesia. Illicitly produced fentanyl is extremely common. Most overdose deaths associated with fentanyl are from illegally manufactured versions of the drug. It is often mixed with heroin or cocaine and sold on the street.